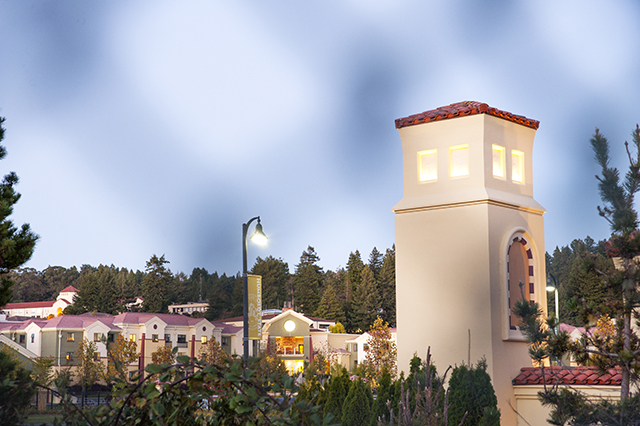 Following a semester of booming enrollment and ongoing efforts to bolster campus diversity, Humboldt State University now qualifies as a Hispanic-Serving Institution by the U.S. Department of Education. This year, HSU’s undergraduate Hispanic-Latino/a enrollment reached 26.6 percent. A Hispanic-Serving Institution is a college or university with an undergraduate full-time equivalent enrollment of at least 25 percent Hispanic students. This year, HSU’s undergraduate Hispanic-Latino/a enrollment surpassed that mark, reaching 26.6 percent. Funds may be used for a variety purposes including: scientific or laboratory equipment for teaching; construction or renovation of instructional facilities; faculty development; purchase of educational materials; academic tutoring or counseling programs; funds and administrative management; joint use of facilities; endowment funds; distance learning academic instruction; teacher education; and student support services. Of the 356 institutions that identified as Hispanic-Serving in 2011-12, 112 were California schools, according to Excelencia in Education, a non-profit that supports Latino success in higher education. Only 10 percent were rural campuses. Overall, campus diversity has grown from 13 to 31 percent in the last decade. In the past year, HSU has made significant strides toward increasing diversity and inclusion. This spring, two campus working groups developed proposals to address retention and academic advising, resulting in the comprehensive restructuring of all retention-related student support units. Their suggestions also led to the establishment of cultural-specific centers of academic excellence. The university continues to implement initiatives for diversifying faculty and has created a campus plan for diversifying staff, which will be implemented this year. Recently, the university released the HSU Campus Diversity Plan 2013+, a comprehensive tool for increasing and monitoring diversity and student success on campus. Since 2009, the Office of Diversity & Inclusion has produced the annual Campus Diversity Report, an ongoing assessment of campus diversity initiatives.